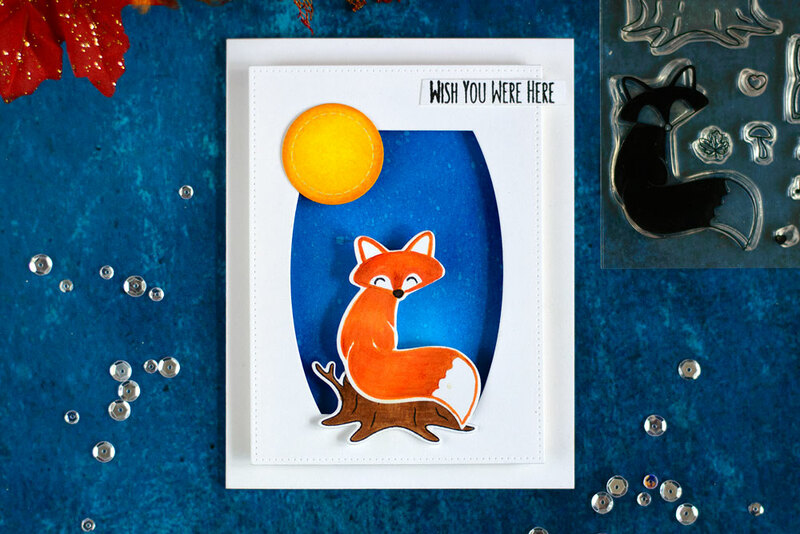 Today I want to share a simple and touching card with an adorable lonely fox under a moon. 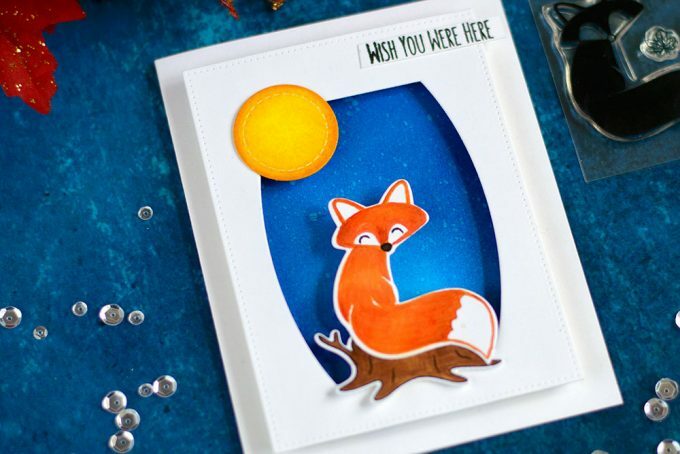 To start off I die cut a panel using a die from Dotted Patterns 1 Die Set and cut a window inside using a die from Stitched Nested Creative Rectangles Die Set. After ink blending was finished I foam mounted the panel onto the card base. 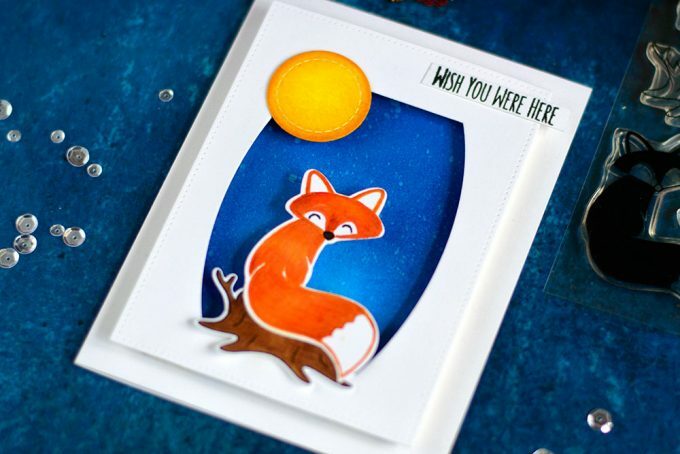 I stamp a fox from Foxes Stamp Set using Spiced Marmalade Distress Oxide Ink then colored with COPICs to add shading. I stamped the stub using black ink and colored it with COPICs as well. After that there both were die-cut using matching dies and foam mounted them onto the card. I made a moon using a circle die cut from Stitched Loops Die Set which I colored with distress inks and adhered it onto the card. 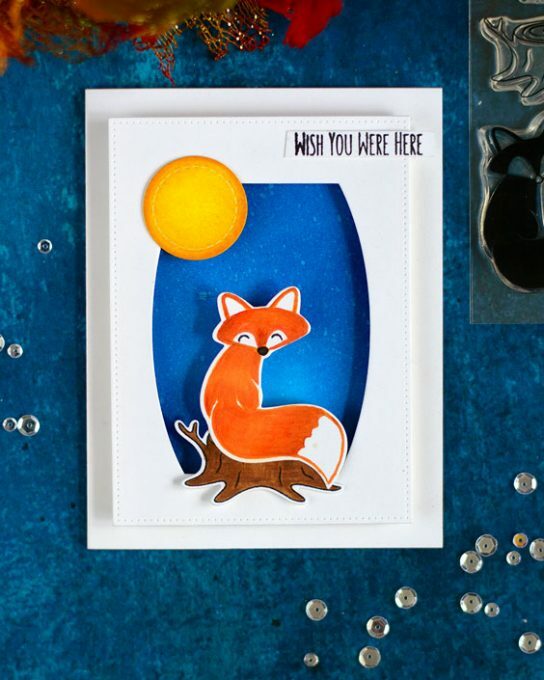 As a final touch I added a sentiment from And The Fox Says Stamp Set stamped in black onto a white stripe.